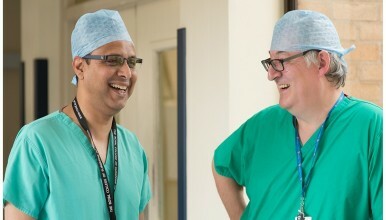 Applications are invited for a Locum Consultant General Anaesthetist to The Shrewsbury and Telford Hospital NHS Trust. The post attracts 10 Programmed Activities. This post is available from June 1st for a period of 3 months with a possibility of extending this to 12 months, and is based at the Royal Shrewsbury Hospital although the successful applicant may be asked to provide some sessions at our sister hospital the Princess Royal Hospital in Telford . You will join a department of 18 Consultant Anaesthetists, nine of whom have a commitment to Intensive Care Medicine. There is an on-call commitment 1 in 8 covering CEPOD theatre. The Royal Shrewsbury Hospital has a total of five ICU beds and six HDU beds, although flexible staffing allows for different levels of dependency to suit clinical need. The ICU serves a busy general Surgical Centre with large vascular and colo-rectal services. There is also a busy Medical take. Additional surgical services are – upper GI surgery including bariatric, gynaecology, urology, orthopaedic trauma and eye surgery. The Princess Royal Hospital Telford has Critical care beds to a dependency of five. All general surgical activity has moved to Shrewsbury. Maxillo-facial lists, ENT, Paediatrics and elective Orthopaedic Surgery are based here. Telford also retains a busy medical take. Womens and Childrens services moved to The Princess Royal Hospital in September 2014. There are Emergency Departments at both Hospitals. The Shrewsbury & Telford Hospital NHS Trust serves the total population of Shropshire and Powys which numbers approximately 600,000. The Trust has Associate Teaching School status and has medical students attending from Keele University. The Trust is proud to have been selected through a highly competitive national process to partner with the Virginia Mason Hospital in Seattle, widely regarded as one of the safest Hospitals in the World. This partnership will see Doctors, Nurses and Allied Health Professionals working together with colleagues from Virginia Mason and across the Country to transform Healthcare at The Shrewsbury and Telford Hospital NHS Trust and share our learning across the Country. Shropshire is an area of outstanding natural beauty and offers extensive outdoor recreational facilities and easy access to North Wales and the Welsh Coast. Housing standards are high in the county both in town and country with good local state and private schools. The M54 motorway starts just outside Shrewsbury and provides quick access to the national motorway network. Dr Louise Sykes, Clinical Director in Anaesthesia on 01743 261196 with any questions you may have and if you wish even arrange a visit.